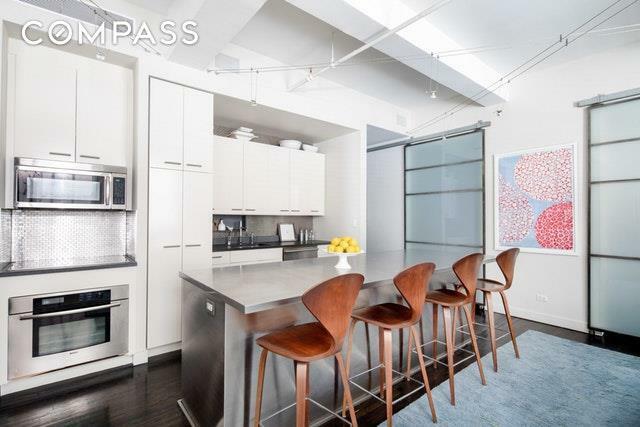 This sunny move-in condition two bedroom prewar loft has been painstakingly renovated by its interior designer-owner, embodying quintessential living in the heart of Chelsea. Apartment features central air, beautiful ebonized oak floors, 10 foot ceilings, atelier windows with motorized shades, integrated sound system, huge laundry room and thoughtfully designed storage incorporated throughout.The Capital Loft Building, constructed in 1926, is a stunning prewar elevator building with a fabulous landscaped rooftop terrace, full-time Superintendent and video security. 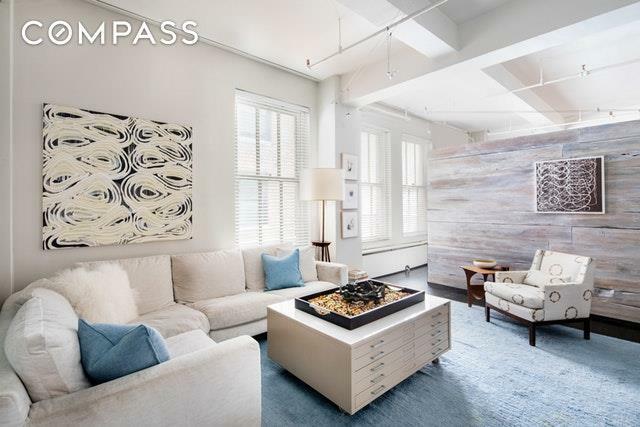 This incredibly flexible coop permits immediate unlimited subletting, live/work, investors, pied-a-terres, co-purchasing, gifting, guarantors and best of all, you may purchase in form of LLC. Pets welcome. Additional Apartment Highlights: Open chef's kitchen with breakfast bar features custom cabinetry, Sub-Zero and Miele stainless steel appliances with Peitra Cardosa stone counters and pantry. Den/Media Room provides a gentle separation from living room with free standing custom designed walnut unit that has bookcases, built in desk, television and clothing storage. 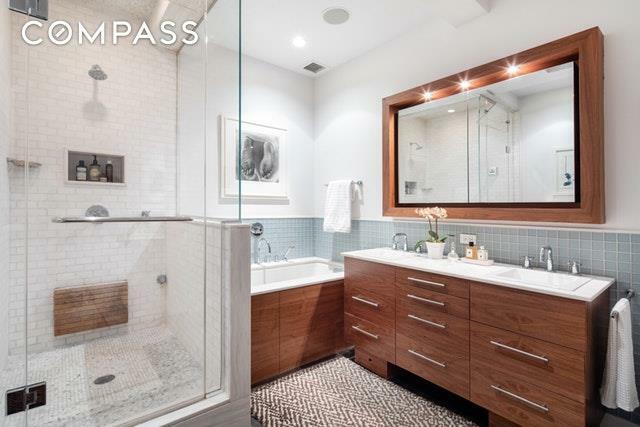 Master bathroom has a large walk-in steam shower and deep soaking tub, DaVinci fixtures, custom walnut and zebra wood cabinets with glass and stainless steel tiling.Powder bath off the foyer entry can be easily combined with adjacent closet to create a full bathroom. Windowed home offices are outfitted with built-in desks and custom designed cabinetry. This home offers amazing value in current downtown market with an extremely low maintenance and all the flexibility of condo ownership. Location between 7th and 8th is ideal with two garages on the block, public transportation, great shopping and myriad dining options all easily accessible. Listing courtesy of Janice Bayer of Compass.